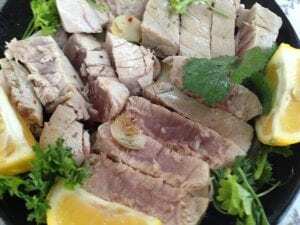 My Olive Oil Poached Tuna with Salsa Verde is an absolutely fabulous tuna recipe! Though quick and easy to prepare, the results look as if you slaved over the stove all day! You may also use halibut as a substitute for tuna! 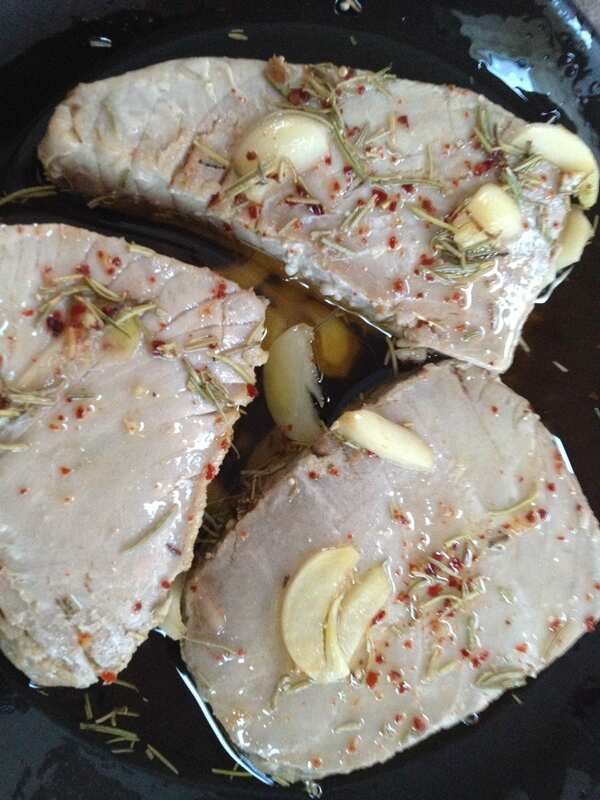 slip tuna steaks in the simmering oil and cook for 3 minutes on each side. Remove tuna from oil, transfer to a flat plate or cutting board, let tuna rest for 10 minutes. You may reuse the cooking oil; just decant in a glass jar and refrigerate. Slice tuna steaks against the grain and serve with salsa verde and roasted potato tomato with olives! If using Halibut, serve the whole portion of fish without slicing. 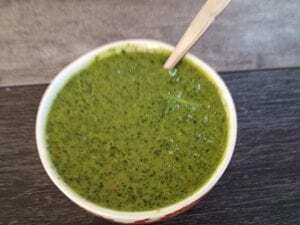 Combine all ingredients in a food processor and pulse just until blended. the salsa can be made ahead of time and stores in the refrigerator well. This Mediterranean dish is delicious with olive oil poached tuna or halibut and is a lovely accompaniment to roasted or grilled lamb and is a perfect vegetarian entrée with a crisp salad and light wine! 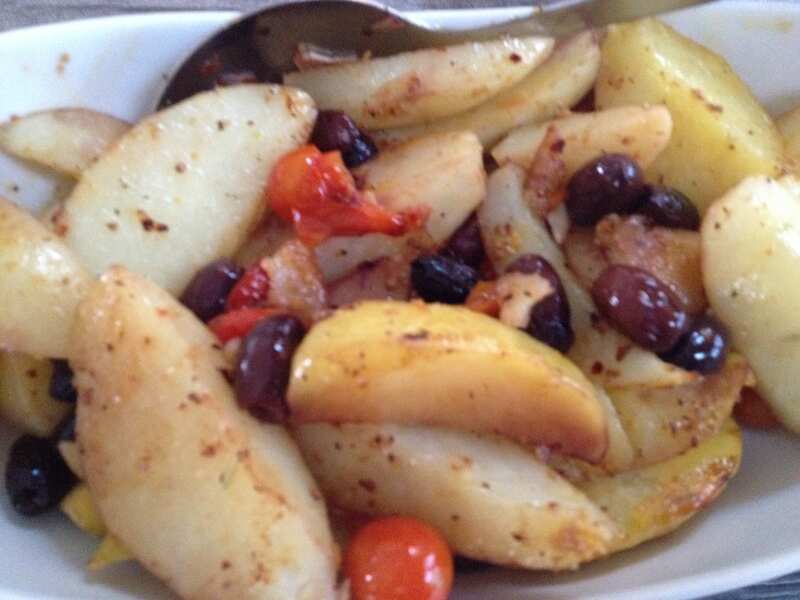 Place potatoes, tomatoes garlic and olives in a shallow baking dish or baking sheet, toss with olive oil and seasoning. Bake for 25 minutes until potatoes are crisp tender and tomatoes are blistered. You may also grill this dish!